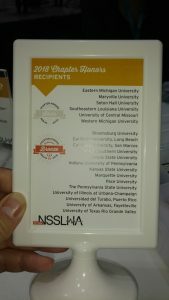 Very proud student group advisor…the Seton Hall University chapter of NSSLHA earned silver honors. Previous Previous post: ROW-Lab working interprofessionally with OTs to improve writing outcomes in children. Next Next post: ROW-Lab @ ASHA 2018.